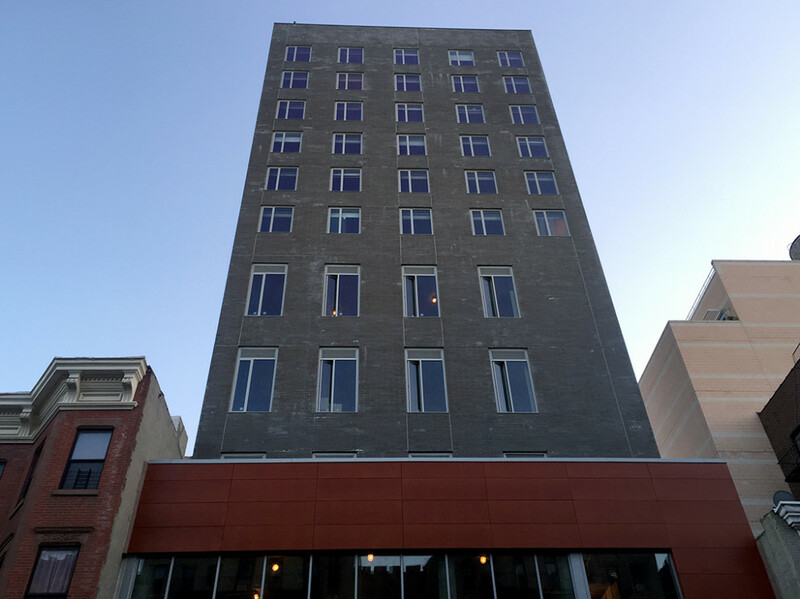 Hotel Cliff, near the northeast corner of 181st Street and Amsterdam Avenue is set to open this month. The new eight-floor building designed by Karastathis Architect will have 52 rooms, with the lower floors and basement serving as office space. 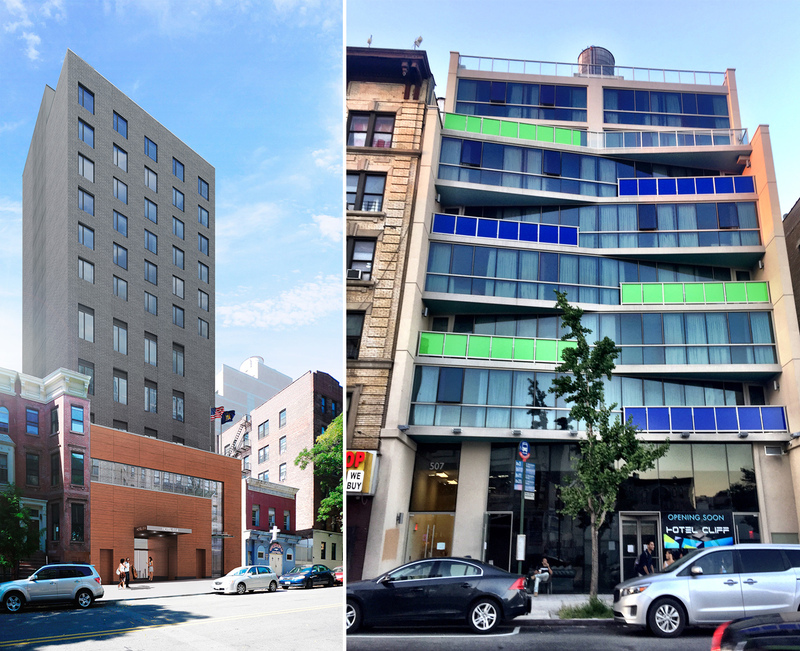 Hotel Edge surely won’t win any design awards but it is conveniently located near the 1,A and C 168th Street subway line. 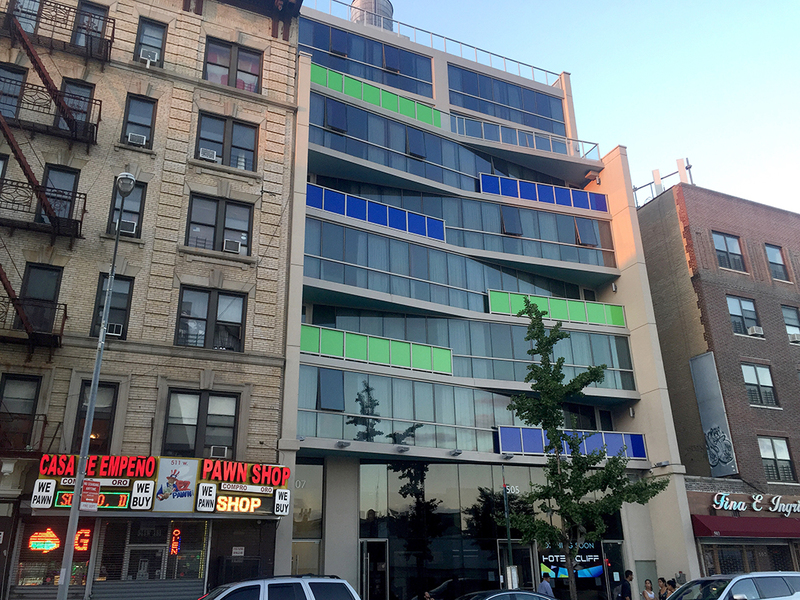 The Edge, a new 11-story building on West 168th Street, will be the second to open. Located less than 15 blocks south of Hotel Cliff, The Edge will have 54 rooms along with 15,000 square feet of office space.